Which Arizona Candidates Have Connections With Education? KJZZ has identified 44 people with ties to education running for office in statewide races and legislative seats. Educators around the country want a greater influence in how laws are made and public money is spent, following a series of teacher strikes that shuttered schools for hundreds of thousands of children. Arizona candidates include former classroom teachers, college professors, district governing board members and speech therapists. Political newcomer and middle school language arts teacher in Paradise Valley Jennifer Samuels is hoping to add her current experience as a voice in the state legislature. Samuels is a Democrat running to unseat an incumbent Republican representative in Arizona's 15th Legislative District. She faces an uphill battle along with other political newcomer and 2016 Arizona Teacher of the Year Christine Marsh. But it’s not just newcomers: several incumbents have past education experience. Educators already serving in the legislature and seeking re-election originally ran for similar reasons as the newcomers. Democrat Sally Ann Gonzales has been an elected official in Southern Arizona for more than 20 years, first as a member of the Pascua Yaqui Tribal Council and most recently as an incumbent state senator in the 3rd Legislative District. But before that, she was a classroom teacher in Tempe and Tucson where she taught bilingual classes. “Things were tough for teachers, I felt like I wasn’t being supported,” Gonzales said. Her school, Lawrence Elementary, was overcrowded and under-maintained. After advocating for a new school to be built, and succeeding, she sought public office. She said education hasn’t always been a top priority in the legislature and some policy decisions were politically motivated, such as banning bilingual education and forcing English Language Learners into structured four-hour lessons. “Those were the kind of things put in place by legislators that don’t know what the heck they’re talking about in education,” Gonzales said. She’s hopeful that a new class of legislators who are either educators or more aware of education issues because of recent teacher strikes could be allies when it comes to changing policy. Republican Chris Ackerley wants to regain a House of Representatives seat in Southern Arizona he previously held from 2015-2017. The physics and math teacher currently runs a lab in Tucson’s Amphitheater school district that helps students who have fallen behind in math. “However I’m not sure that addressing it in the short term was a priority, and that was somewhat frustrating,” Ackerley said. In addition to funding, Ackerley wants to see the legislature re-evaluate how the state measures school performance. “We’ve gone down this rabbit hole of making every education decision we make based on a standardized test score,” Ackerley said. Each candidate who won their primary was considered. 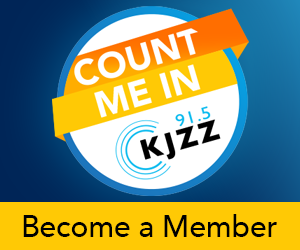 KJZZ then went through and selected candidates who fit into eight different categories: classroom teacher, higher education teaching, school board member, education business/nonprofit, education policy expert, school administrator, higher education administrator, and former teacher/admin/instructor/board member. Information came mainly from online biographies of each candidate, as well as verifying through email. Some candidates fall into multiple categories. For example, Republican State Superintendent candidate Frank Riggs has been a substitute teacher as well as involved with a charter school development organization. That puts him in at least two different categories, so his name shows up multiple times. By choosing ‘Group by: How are you affiliated with ed?’ and then ‘Shade by: school board member’, for example, you can see which candidates have multiple types of education experience in school board membership. One catch-all category, ‘former teacher/admin/instructor/board member’ will have many duplicates because many of the candidates identified have not been in education in the last year or two. One candidate included in the spreadsheet and not in the graphic is Sara Mae Williams, a Green Party candidate for the House of Representatives in Legislative District 4. She is a school board member on the Tohono O’odham nation. Her data did not fit in the graphic, so she was considered an outlier and removed. Similarly, Independent candidate for the State Senate in Legislative District 21 Kathy Knecht is also a current school board member and added to the list after the graphic was published. For any questions about the data, please feel free to email the reporters. EDITOR'S NOTE: This story has been modified to correct the spelling of Chris Ackerley's name. It has been updated to include Kathy Knecht and to update the total number of candidates.